You will start be learning the basic theory and at the same time you will practice the basics for takeoff without the engine. The next step is to get you in the air so we use a winch to simulate the takeoff, since the pull of the winch will give you a very similar feeling than the push of the engine. This way we can master takeoff and landings before we add power to our flights. We will also learn about safety around the engine before we go for a high flight. 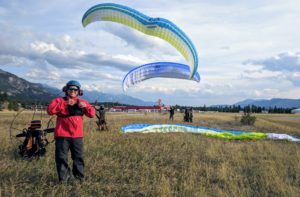 Learning how to fly powered paraglider under instructor’s guidance is essential for safe and continuous enjoyment of the sport. My paramotor courses cover all you need to know to fly PPG safely. No previous flight experience is necessary. 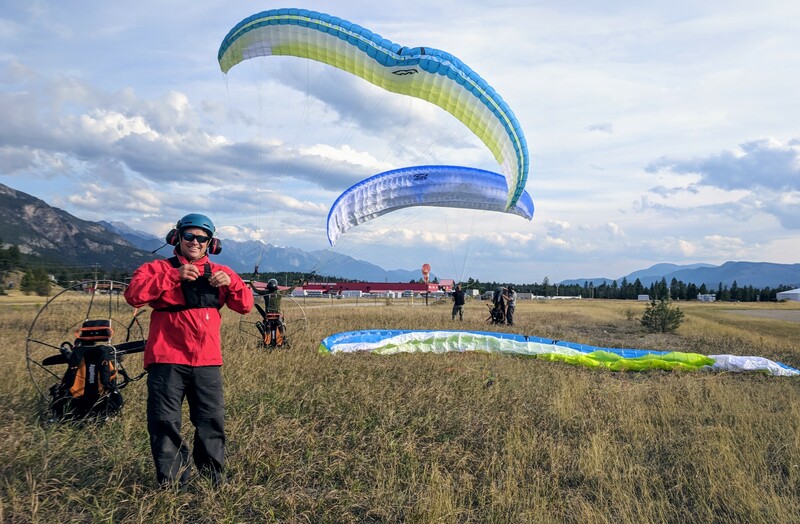 Powered Paragliding is very similar with paragliding and we start all PPG lessons with our 5 day basic P1 Beginner Paragliding Rating course and then continue to a specific 6 day PPG course (June 12-17 2019). Send your self declared medical form (Category 4) to Transport Canada at least 40 days prior your practical lessons. *Currently I only have on scheduled in June.